Brr… another cold night. It is deceptive in the evenings as the warmer setting sun makes you think it might be a warm night. 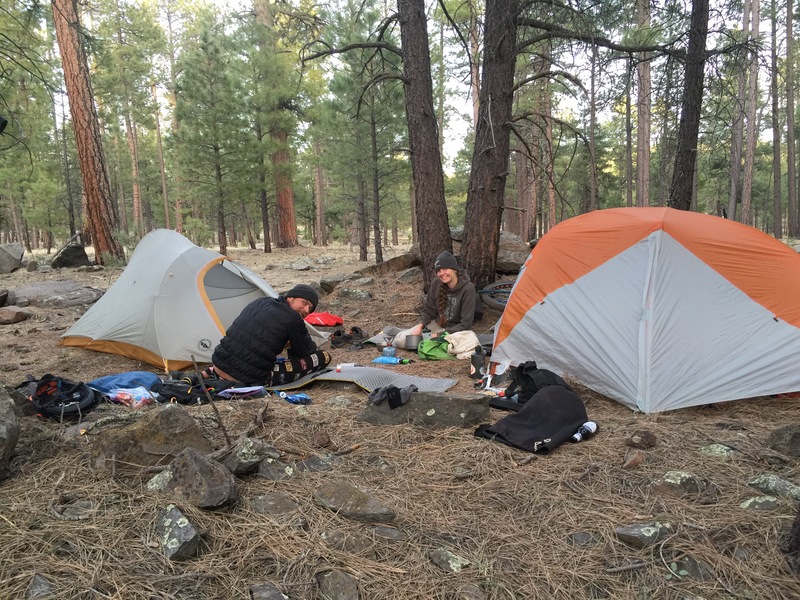 But camping at almost 7000′ in the high desert makes you wish you had brought a portable space heater up the mountain with you. I just don’t know where I’d plug it into. 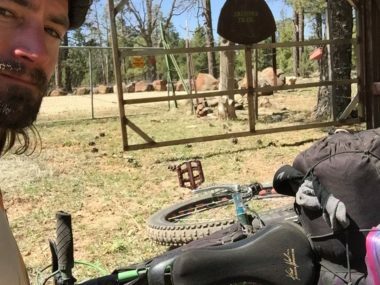 The riding was mostly flat, but rocky. That meant a lot more walking than we would usually like. Rebekka would always prefer to ride over walking, as long hours on her feet was starting to give her some pain. At one point in the morning Becky realized it was Easter. Being out in the wilderness makes you loose track of time. There are no weekends or holidays, and just morning, day and evening. It pairs life and time down to the essentials and you are really just living with your only worry being water. The scenery was still mixed pine and fir trees with lots of shade. Nothing too spectacular, but it was still enjoyable to be out in nature. Our long stretch goal was a water hole quite a few miles away, and even with some shade it was still pretty darn hot out. Eventually we heard the whirring sound of ATVs in the distance and came upon another road. 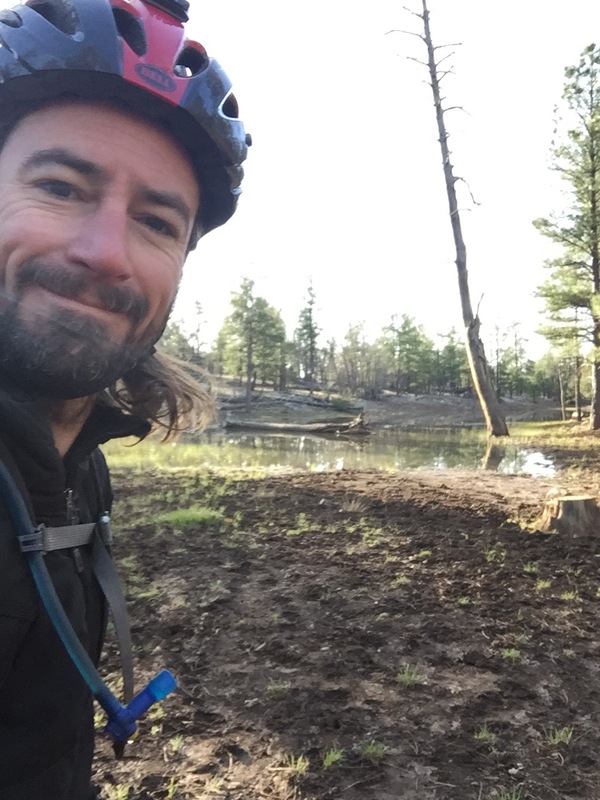 We had decided to ride about a half mile further to a close water source instead of another five or six miles like originally planned and stop a little earlier at 4:30 instead of the normal 5:30. Rebekka and I went across the road and continued a short bit on the trail. Jamey disappeared, and we waited. He couldn’t have missed the open gate on the other side of the road so we were perplexed as to what was taking him so long. Finally we see him off in the distance riding down the road towards us; it looked like he turned the wrong way. Jamey said that he went over to check out the guys running the ATVs. They were hanging out, barbecuing and playing with their off road vehicles. They didn’t speak much English, but Jamey asked to buy several cervesas and the just kindly gave him a few. Jamey said there was one catch: the beers were in glass bottles, and he who drank it would have to carry the bottle. I gladly obliged to do so and downed my beer as soon as we were setting up the campsite. 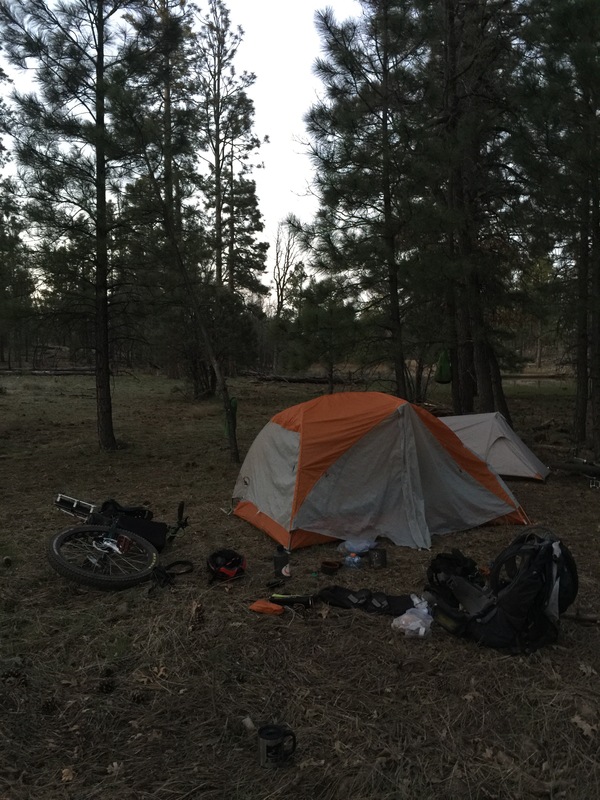 I was a little disappointed as we were about five miles behind schedule, and I really wanted to have a full rest day in Flagstaff. Being behind schedule might mean we would have to rush to the Flagstaff post office to get there before it would close and not have enough time to just relax. We setup camp and our two through hiker friends Top Shelf and Two Liter passed by us. They weren’t feeling all that well but were still doing incredible miles. 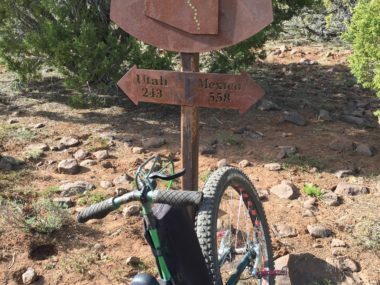 The Arizona Trail on Unicycle: Day 18, You Didn't See the Mountain?